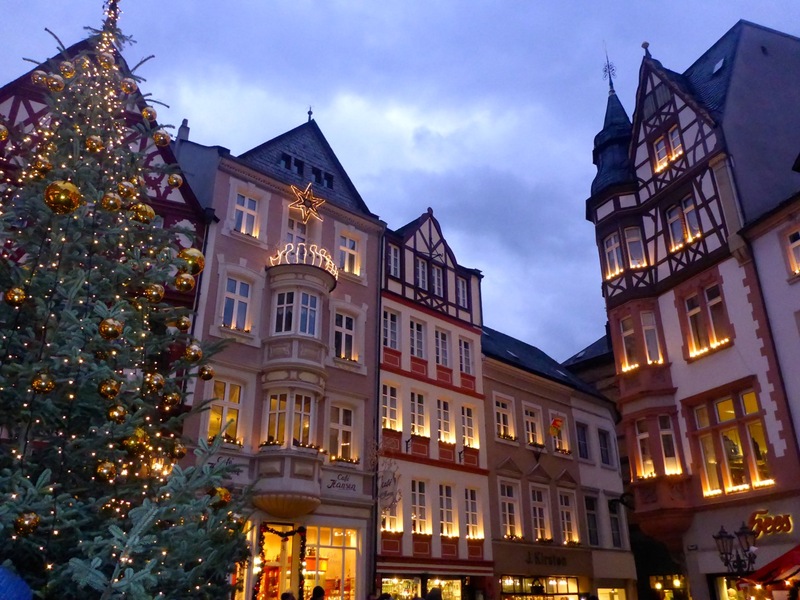 It’s Beginning To Look A Lot Like Christmas… in Germany! 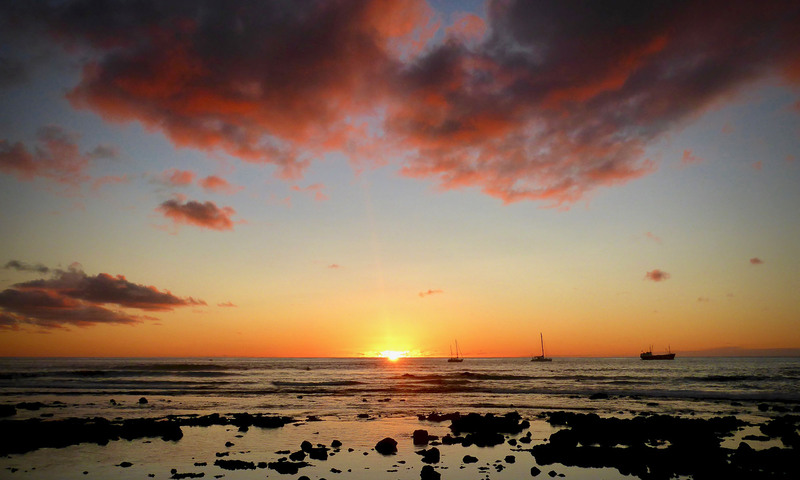 We originally planned to be somewhere in Southeast Asia for Christmas, before heading to Africa. But while in Thailand we started missing the usual surroundings of Christmas season – the cold weather, the decorations, people getting into the holiday spirit. We also wanted to be around friends, people we knew at Christmas, not just strangers. So we kinda went rogue! We started thinking about where we would be Christmas-y and where we knew people. And places that were somewhat on the way from Asia to Africa. Our friend Song came to mind. We had met him while trekking the Annapurna Circuit in September. It was a total shot in the dark, but we emailed and asked if by any chance he would be around and up for a couple of house guests. To our delight, he said “Come on!” So we booked our tickets for Christmas in Germany. It’s been so much fun to hang out with Song and meet his friends. 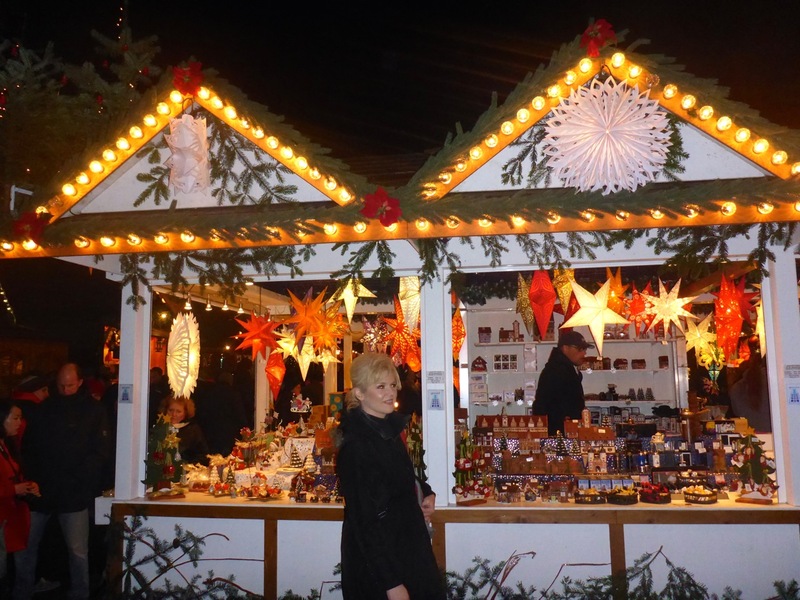 And Germany is the capital of Christmas Markets! 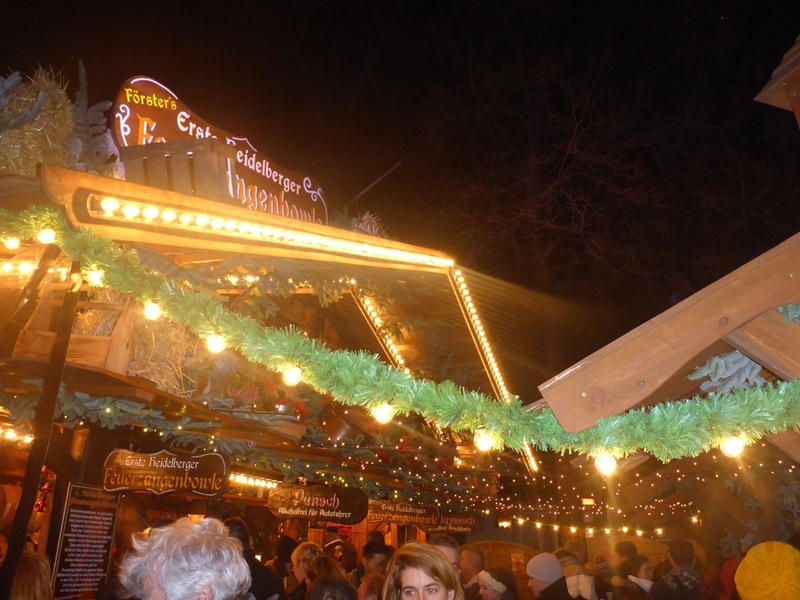 We took an outing to a couple of Christmas markets. 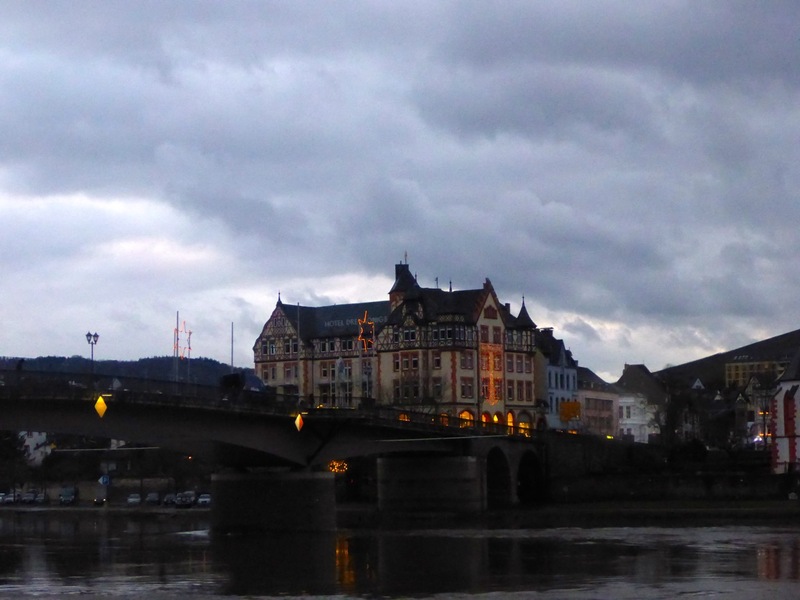 The first one was in Bernkastel-Kues, an adorable valley with vineyards all around, the drive was beautiful. 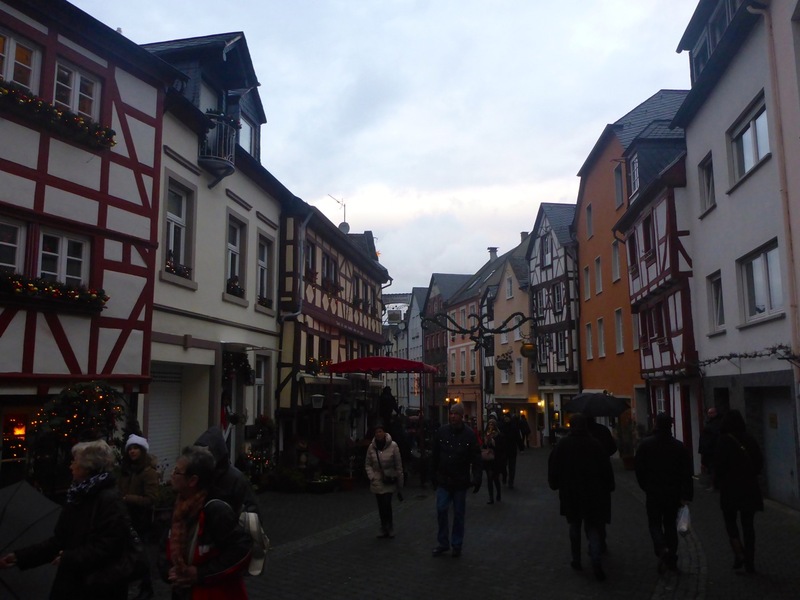 It was a small market, but the town itself was so cute and festive. 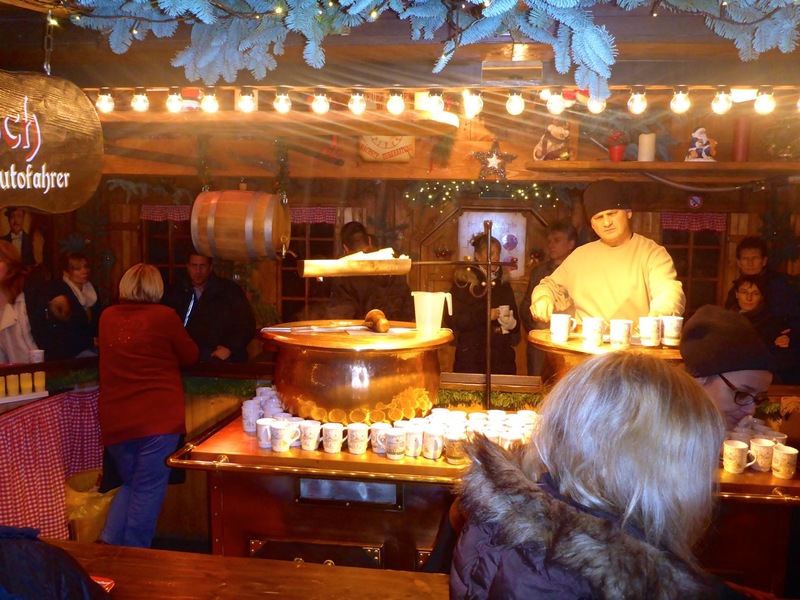 We had our first Gluehwein (pronounced Glue-vine), which is hot spiced wine. Thank goodness for it because the weather was COLD!! Maybe it’s coming from the beaches that makes it feel so cold to us, or maybe it’s that it’s damp and windy and there’s no sun. 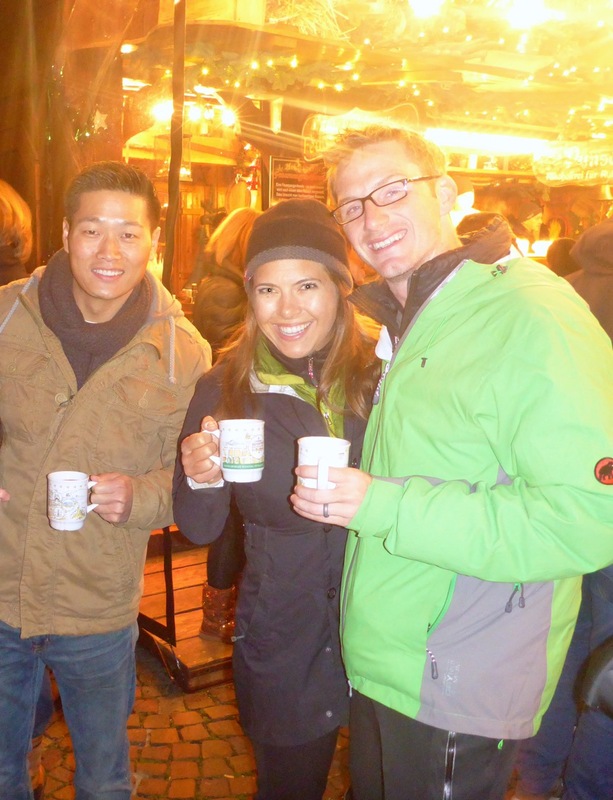 Either way, I was very happy to have hot wine! 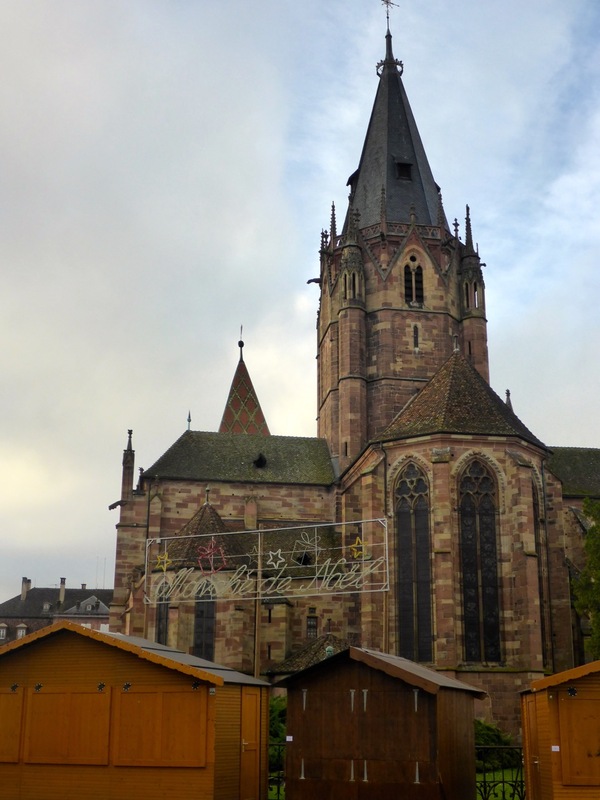 The next day Song took us to the Heidelberg Christmas Market. 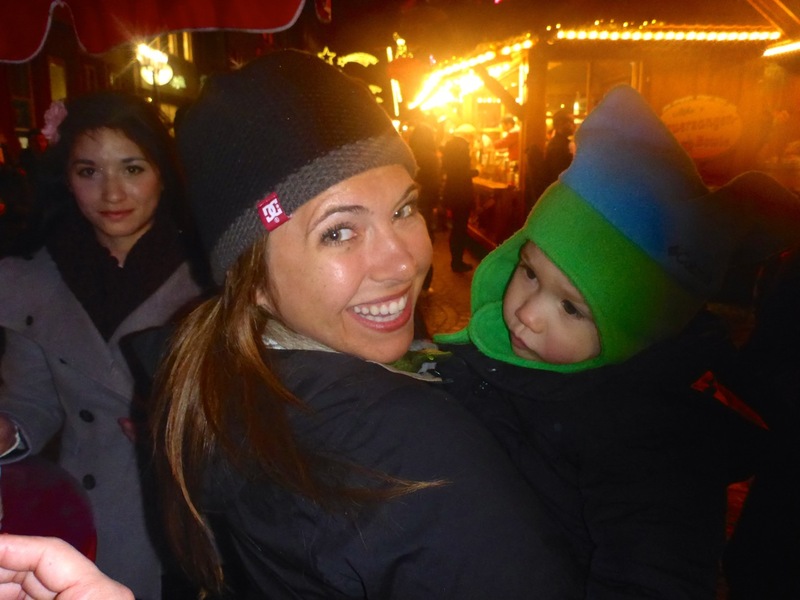 We got to see the lights up at the market and enjoy more gluehwein and some bratwurst. It was so much fun. There were beautiful Christmas decorations everywhere! Yesterday we were on our own since Song had to work. 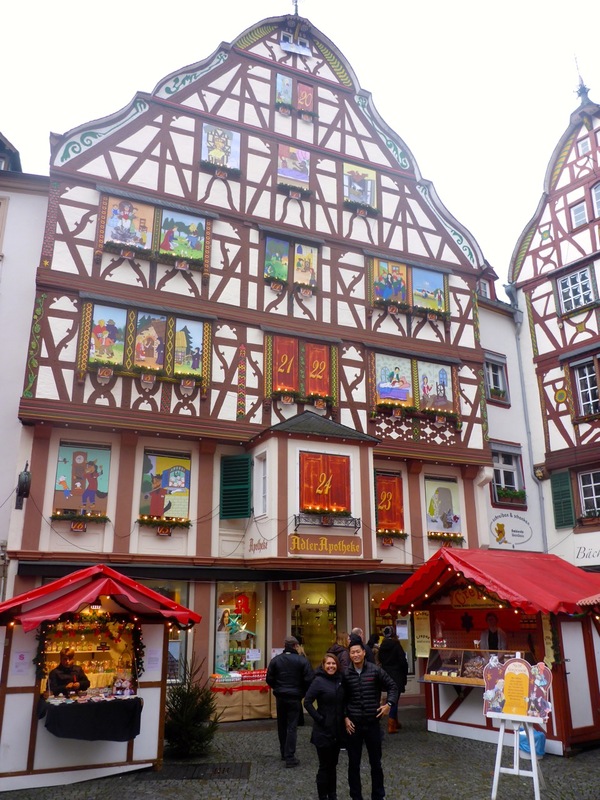 We planned to drive to Baden-Baden, but when were about halfway there we stopped for a coffee in this small town and the sweet owner of the shop told us there was a really nice old city we should see just ten minutes away, Wissembourg. We thought “sure, why not?” and reset the destination in the GPS. 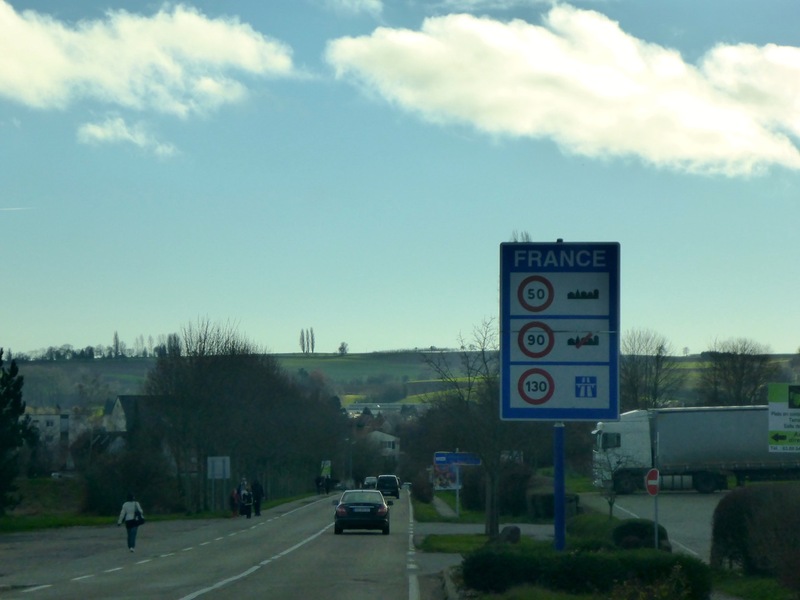 About ten minutes later we realized Wissembourg is actually in France! Its so crazy to us to be able to just drive over to another country. 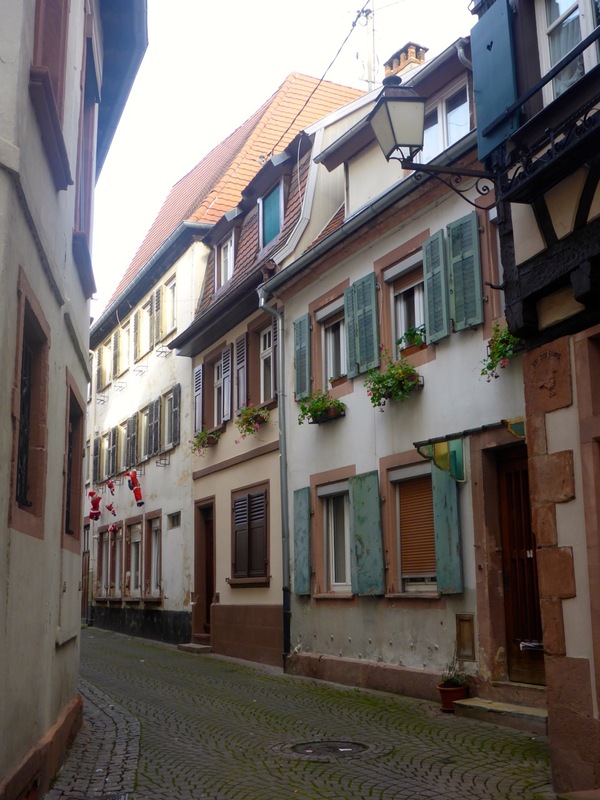 The old town was beautiful and we decided to forget about Baden-Baden and just wander around Wissembourg. 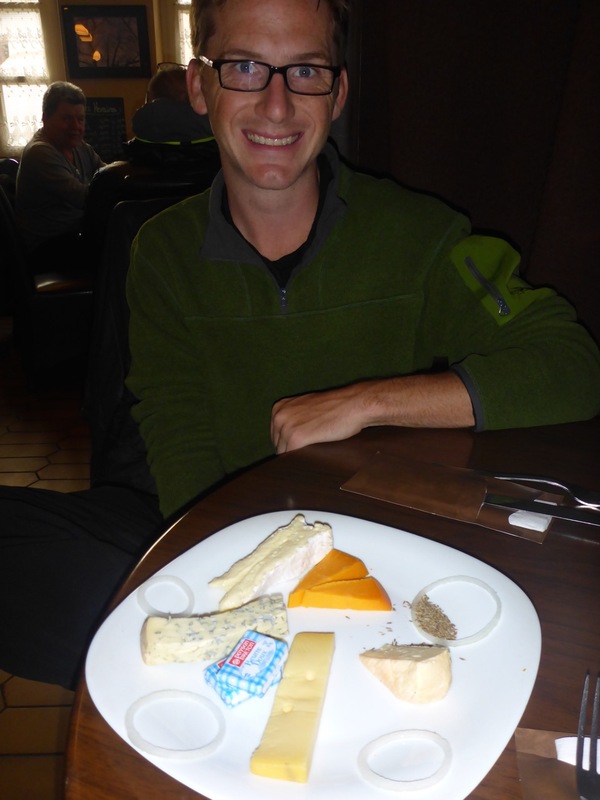 And since it was our first time in France, we couldn’t leave without getting some cheese and wine. 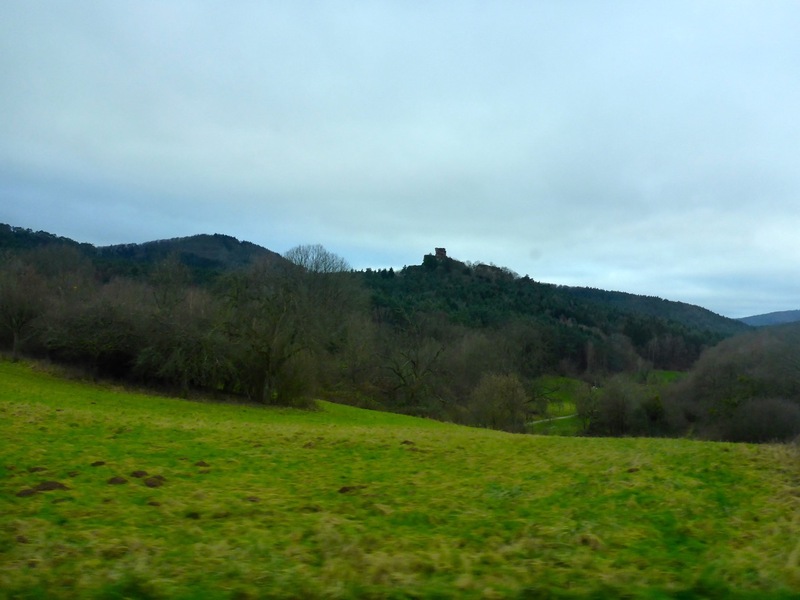 We headed back to meet up with Song for dinner, and enjoyed a really pretty drive through the German forests and hills. The countryside here is beautiful!